The fall of the ruble at the end of last year was a severe blow to confidence in paper money. Certainly, this event has affected the gold market. During times of geopolitical instability, gold is in incredible demand because it is an extremely stable and reliable asset. 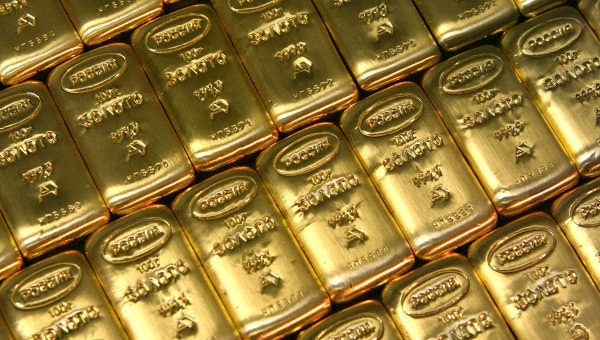 The ruble’s decline acted in favor not only of the gold market participants who invest in gold bars and coins, but also of gold mining companies, especially in Russia. Bloomberg’s news agency stated that now, along with the depreciation of the national currency of Russia, are created optimal conditions for the country’s gold mining companies. This turn of events is quite logical because, on the one hand, the price of gold is mostly calculated in dollars; and on the other hand, the production costs of the yellow metal in Russia are paid in rubles. This means that Russian gold mining companies benefited from the ruble’s fall. In addition, this fact allows the Russian mining companies to be competitive in the market. According to the agency GFMS, last year Russia surpassed Australia in terms of gold production volume, ranking second in the world. However, the Russian Federation still lags far behind China. This will definitely be beneficial for the inhabitants of the country because they will be able to preserve and increase their capital using this reliable asset. The customers of the Emgoldex company have long been enjoying all the benefits of the yellow metal. They buy gold in the online store at the most advantageous terms and recommend it to others, building their own highly profitable business. Gold will bring stability to your home in unstable times! Share this important information in social networks so more people can take advantage of this favorable moment! Visit the online store to buy gold!